My dad always owned his own business. When I was a child he was a farrier, traveling from farm to farm—putting in long days, especially in the summer, coming home smelling like animals and outside and barnyards. I loved it. When I was in middle school we moved, horseshoeing had become just too physically taxing for my dad to continue doing and so he needed a change. We settled across our state in a small town where he began a financial services business. And although I could say many things about that time of my life, one thing I remember distinctly was how lean the next few years were financially. Not that my parents complained or worried to us kids, but we could sense that things we’d done before wouldn’t be happening those first couple of years, that we needed to cut back on spending. Still, we found we were okay. And that is why this season, this year, has felt somewhat familiar to me. My husband owns his own business and it has afforded us many benefits for which I am so grateful these past seven years. But this year has been slightly different. Through no fault of his own, some client bases have changed, contacts moved to different companies—leaving us in a season of leanness, at least financially. And I find myself mostly trusting—but somewhat vacillating—between trying to figure out what I can do to help, often to the point of frustration, to trusting that God has it all under control. This is such a familiar place to be, isn’t it, friends? Aren’t we all going through lean seasons in some ways? Maybe for you it’s not financial, it's relational. Maybe you and your husband just aren’t communicating the way you’d like, or maybe you have a child who’s angry with you. Maybe there are rifts with extended family members and you wonder how they’ll ever be repaired. Or maybe you’re experiencing leanness in your own work or in finding purpose for your life. Maybe you thought you’d overcome depression or some other mental health concern, only to find yourself spiraling back to thoughts and feelings you thought you’d left far behind you. I don’t know where life feels lean for you, friend—I just know you are not alone. I’m also keenly aware that some seasons of leanness last far longer than others or go through far greater trials and heartbreak than I could ever know. And I do not want to sound trite as you think about the lean season you are currently in or facing. I simply know this: First, that we are all in this life together, here to love and support and be real with one another. And two: That God sees you, he knows you, and he loves you. 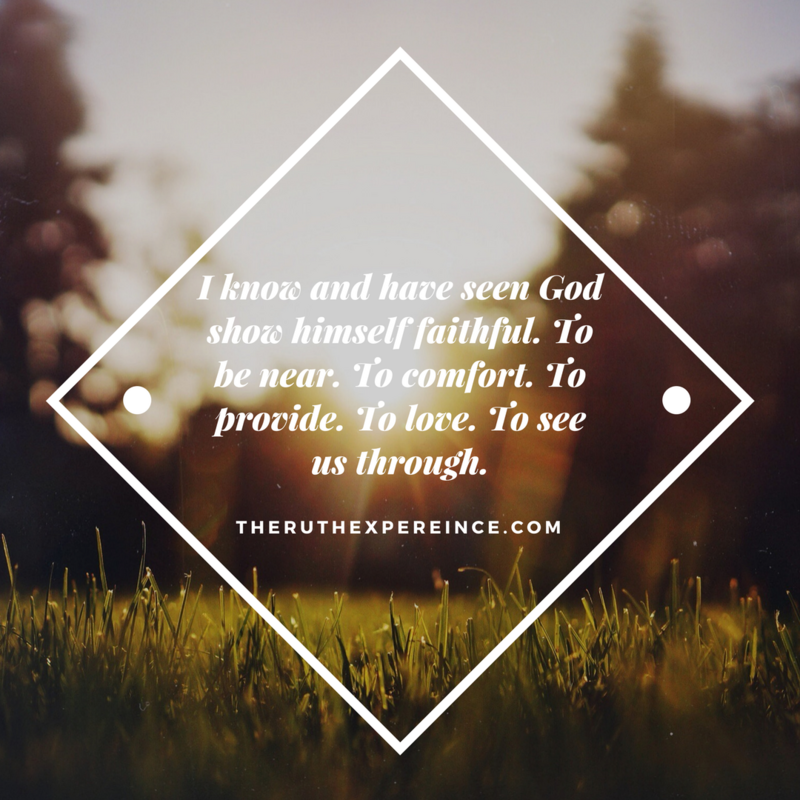 Because although I may not be able to give you answers to your questions or all the reasons why you are facing this lean situation, I do know and have seen God show himself faithful. To be near. To comfort. To provide. To love. To see us through. And, somehow, these two things are enough. This communion with God and the support of others is enough. It may not be a way to escape our lean space, but it is enough in the midst of it.